May is here, which means it's time to celebrate Global Youth Traffic Safety Month. Sponsored by the National Highway Traffic Safety Administration (NHTSA) and the National Organizations for Youth Safety (NOYS), Global Youth Traffic Safety Month is an annual awareness campaign that encourages youth organizations to participate in traffic safety projects in their communities and promotes safe teen driving behavior. As part of the annual month-long campaign, teens and parents can access a number of promotional materials and toolkits designed to help keep teens safe on the road. Global Youth Traffic Safety Month was originally called National Youth Traffic Safety Month but, in 2011, the name and focus of the campaign were changed to promote and emphasize teen driving safety on a worldwide scale. Globally, as many as 1.24 million people are killed in traffic accidents each year, according to the U.S. Department of Transportation (DOT). Of those deaths, approximately 59 percent were drivers between the ages of 15 and 44. More than 3,400 drivers between the ages of 15 and 20 died in traffic accidents in 2012. Of the 3,400 young adult drivers killed in traffic accidents in 2012, 55 percent were not wearing seat belts, 48 percent were speeding, 28 percent had been drinking, and 9 percent were distracted at the time of the fatal crash. 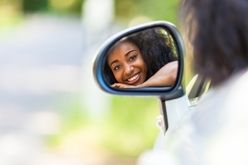 There are 9.4 million drivers between the ages of 16 and 24. These drivers account for just 4.7 percent of all licensed drivers, but are involved in 13.5 percent of accidents and 10.1 percent of fatal accidents. Whether you were injured in an accident caused by an inexperienced teen driver or an adult driver who behaved negligently, the experienced legal team with Steinberg Injury Lawyers can help you explore your legal options to determine if pursuing compensation for damages is right for you. Contact us today for a free case evaluation or to request a free copy of our book, Keeping Your Teen Driver Safe: A Guide for Parents.